Any one in Germany .. So the Russians mind their manners on their way to Berlin. Car transport from Patrick AFB in Fl. To Suffield Ct. recommendations. Yeah -- this. Too bad Bill can't handle it himself. His work is top notch. I'd trust his suggestions to be good ones. That might be somebody's attempt at adding a speedometer, in the same way the magnetic pick-up on a bicycle speedometer works. That's a nice looking pair of Lincolns. Every home should have one.... or two, or three. Best of luck with your sale! Same here. The rough estimate for materials came out to be something like 2/3rds the cost of a ready made unit. I think part of the profit for the manufacturers is that they get much better pricing on steel by buying large quantities. I'm sure it's a fun project but I didn't need to prove to myself that I could perform tasks that I already know how to do while my personal projects go unfinished. what's the name of this fitting? Double compression threaded sleeve fitting. West System is a wonderful product that doesn't seem to get much mention. Their 105 resin and 205 (fast) or 206 (slow) hardener mixed thickened (if necessary) with 406 colloidal silica provides a lot more options for different applications and enough working time so that you don't have to mix up so many small batches to do a job like you do with Kwik-Poly or other hyper-fast setting epoxies. Here is a photo of my Accessible Systems rotisserie with pneumatic tire upgrade so you can go across unpaved surfaces without issues and also facilitate loading onto a trailer. Another one of their selling points was being built to a safety factor of 2. I believe my unit was rated at 3,500 lbs, so failure would be 7,000 lbs. Cheaper units can fail at not much above their stated rating. They were keen to point out that when you see another unit that has every right angle gusseted, that is an indication of it being of poor design and when I started looking at the hard details, there were notable differences in the size and wall thickness of the square tubing used on what is commonly available. The owner / designer was an engineer and very interesting to talk to. It is a shame they have quit making them. I'm not sure there is another U.S. made rotisserie out there that matches their level of quality. I've had mine about ten years now. I later purchased their differential dolly and wish I would have purchased some of their other accessories now that they have gone out of business. For what their products cost vs. rounding up the raw materials to make one, it wasn't worth all the time to reinvent the wheel. I own a rotisserie built by Accessible Systems and it is excellent, however it seems they have recently gone out of business: https://www.accessiblesystems.com/history.php If you could find one of their units second-hand, that is what I would recommend. I shopped that pretty hard when I bought mine and it is spec'ed to hold one of my unibody Lincolns should I ever want to. I have had two Shoebox woodie bodies on it and it has enough clearance to spin one of those 360 without the roof hitting the tie bar and have it balanced so it can be stopped in any position without it drifting. The Forum Police are always quick to jump on any ad that doesn't meet their satisfaction and then point them to the "suggestions" page, yet the biggest and boldest suggestion at the end is an absolute for the posters and it never gets any attention: It is NOT okay for forum users to make negative comments on a seller's listing, nor is it okay to question its asking price. If you're going to recommend that, than you should also recommend that they go well armed. Not a nice part of town! I had a very bad experience with them several years ago and have used Paul's Chrome in Evans City, PA since and been nothing but satisfied. Glad to see you might have found something useful. Remember too that since finishes at this time were so prone to failure early on, it was not unusual for a car to get repainted within a couple of years, so what you're looking at may not be the original presentation surface, but it may very well be underneath. That's why you'd need testing like I showed earlier. With that the layering would tell the story, and yes, there are ways to test to the composition of those layers to tell you what they are, what pigments were used, and make a good stab at determining the shade of color it was originally based on those pigments. I'll work up some information to send you about who I think can help with that. Good job, that's an excellent find! I don't doubt you. You have to look hard and think about the parts that would be hard to pick clean or hard for a sandblaster to access. Even then, it's a shot in the dark because you can't know what's in that chip until it's cleaned up and put under magnification. Like I said, it's a process you'd have to hire out and you'd be money ahead if someone can dig up a book for your application, I just wanted to illustrate that not all hope is lost even in cases like yours. What you describe is very much the case with the sample above. Everything was previously "stripped" to bare metal and wood and repainted red when the original color was blue (the bottom layers), but oftentimes nooks and crannies still have trace remains of the original finish hidden underneath. The sample chip above would be the size of the tip on a ballpoint pen. Just wanted to clarify. If you can find a sample from a book you would be money ahead vs. going the route I have outlined. Is there not one speck of anything left anywhere, even if you were to peel back some of the sheet metal from the wood in a tight spot or some such? Below is an example of a milligram sized sample magnified 140X. People with the right tools were able to determine the chemical and pigment composition of the blue layer to verify it was available in the era (and exclude the ones above it) and make an educated guess as to the original color even after the car had been well-stripped and painted red in a prior life. It's not a cheap process, but if you're militant about it and have no other options, it can be done. So whats under the hood? In the event they did not, perhaps that is why He gave the convertibles, and all the other models, tops. Paint Formula /code for Tiffany Blue copy. I have a couple of codes for you that are close, but there are some things you should understand as you continue on this quest. When you're having your color scanned, the computer isn't "making" a formula. The scanners have taken the place of the old color chip books. All they are doing is trying to match your color to the closest chip in a database and with that color is a pre-recorded formula. If there isn't a color in the database close to this, it will pick the closest one and that's what you get. Colors like this aren't in real high demand for modern collision work, so it's not surprising it didn't come up with a good match. Also, I have a couple of Tiffany boxes here and even they are a shade different from each other and they may not exactly match the one you have in your possession. Using a 1950's - 1960's era PPG Ditzler Color Book I see a couple that are close to the box I have here. The closest is Saturn Blue for a 1957 Chrysler, Color Code V, DQE-11527-DAL. 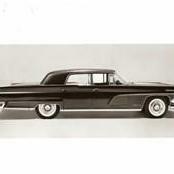 The second closest is Tahitian Turquoise for a 1961 Chrysler, Color Code JJ-1, 12273. The code numbers from this book are only directly relevant for product lines that PPG no longer produces, like Duracryl, etc. They can't just grab tints for Duracryl of the same name and mix it in Concept for example, it doesn't work that way. PPG would have to have taken this code in a lab and reworked the formula in the current product of choice for there to be a modern day formula. You won't know until you ask. It can be hit and miss. Your best bet is to find a store where they still have someone that can mix by eye. Those people can be tough to find, but they are out there. A good one will keep up with what he's doing, weigh as he goes, and finish with a custom formula that can be replicated again in the future in the same product line should you need more. What is wrong with the code that Lamborghini provided you? That is directly translatable to PPG if that is what you intend to use. Hope this helps. Very nice, and the color God intended all Lincolns to be. 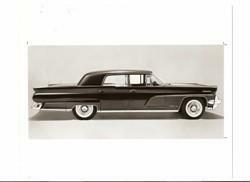 Fifth one down in the first post is a 1960 Lincoln. Probably a Continental with the optional cruise control. Watch out for the hose clamps on that high pressure a/c line! Was Ford "Lifeguard' one year only? Did Merc and Lincoln have it too? Broad brushed statement. Incorrect. There is a subset in the hobby that values authenticity over inauthentic bling. Paul's is top notch and everything is handled in a businesslike manner. Every little part is inventoried and priced before work is started, none of this nonsense with parts disappearing in the dip tank, and the job will be completed on time. Not to mention the quality is excellent.